Welcome to a little thought experiment of mine! Instead of using default super sampling to generate our roughness mip maps, why not improve the quality by using normals? This whole post is more of an idea – not an implementation guide with specific numbers! 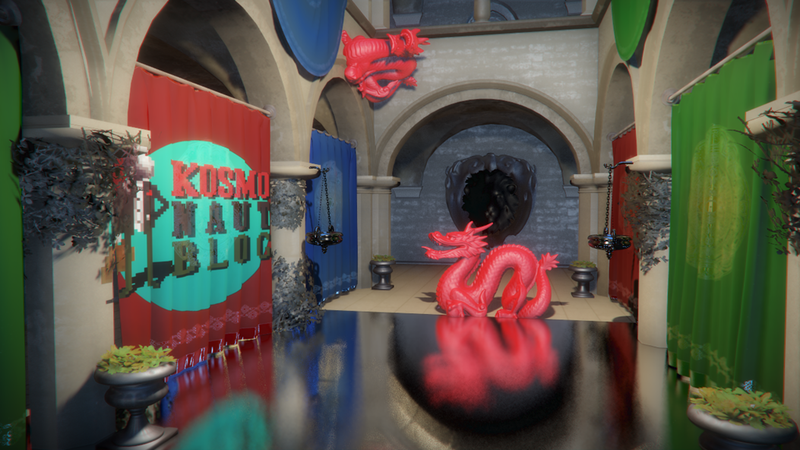 First a small recap about how we usually display meshes and their shape in realtime 3d engines. On the largest scale we use triangles (“polygons”) to actually shape the general geometry of an object. Basically all of them are about how light interacts with a surface. 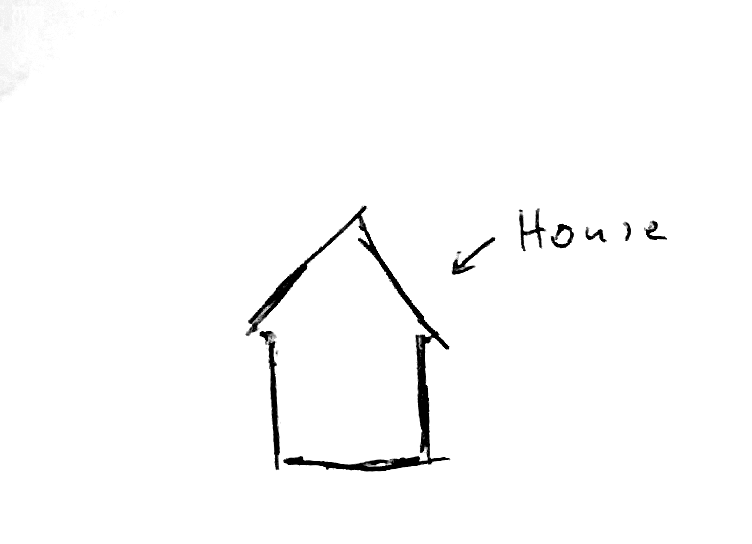 For the house, it’s pretty obvious it will bounce off the surface in general. For more details, like for example some holes or structures in the wood we use a normal map which tells the light which way to bounce without using more polygons. 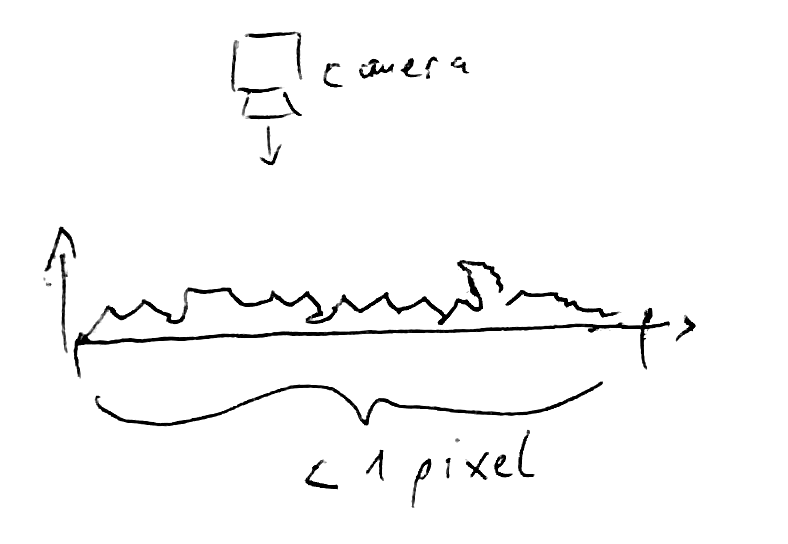 Every pixel basically represents the direction the surface is facing. For even smaller details, which are much much smaller than we can capture with the camera (and often with our eyes) it’s basically the same thing, except that we basically sampled down our “normal map”. Think of it like a normal map which is so incredibly fine that we just get an average of thousands of small sample points which just tells us how many different directions our light bounces to on a micro scale. 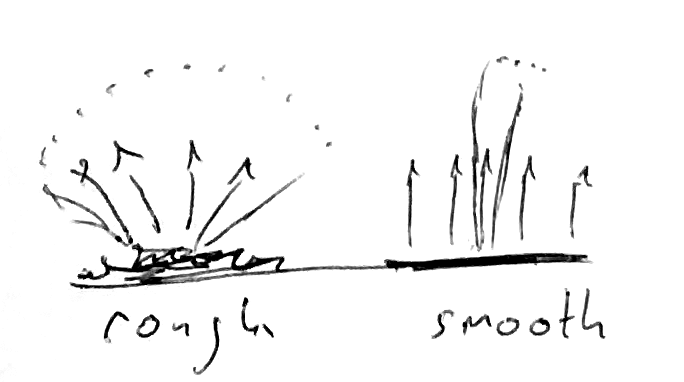 If the light bounces off in all kind of directions we think of the surface as “rough” (think dry mud), if it bounces very uniformly in one direction we think of it as “smooth” (think a mirror). We project our 3d scene onto a grid of pixels, for example in 1080p it’s a resolution of 1920 x 1080 pixels. 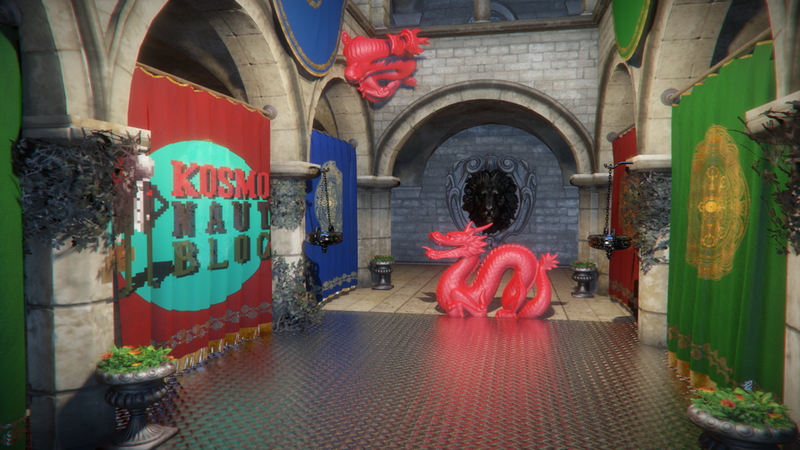 Let’s assume we have an object and it has a texture, as well as a normal map applied to it. Both have some decent resolution, like 512 x 512 pixels. 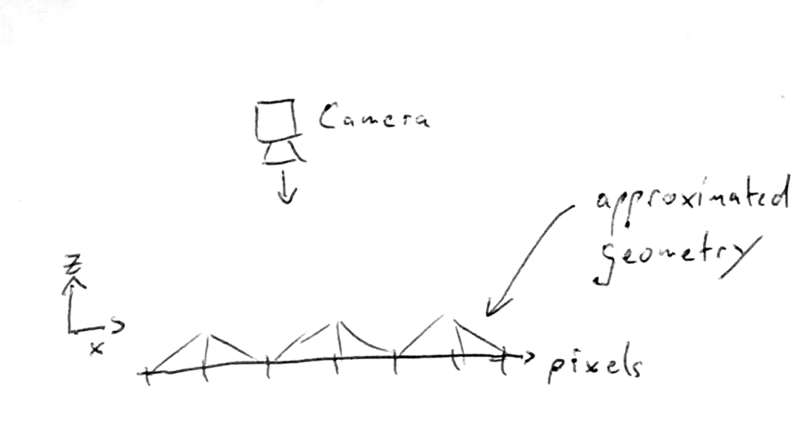 However, if the object is far away from the camera all of it’s geometry might only cover a few pixels at all. In that case one pixel on our screen may cover the whole of the object and we really cannot show all that detail stored in the 512 x 512 texture. 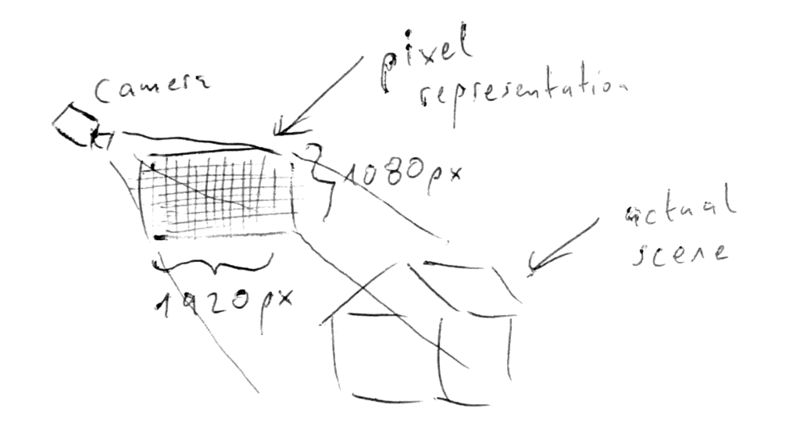 So we basically need to take an average of all the pixels that are afterwards “compressed” into one pixel in our projection. 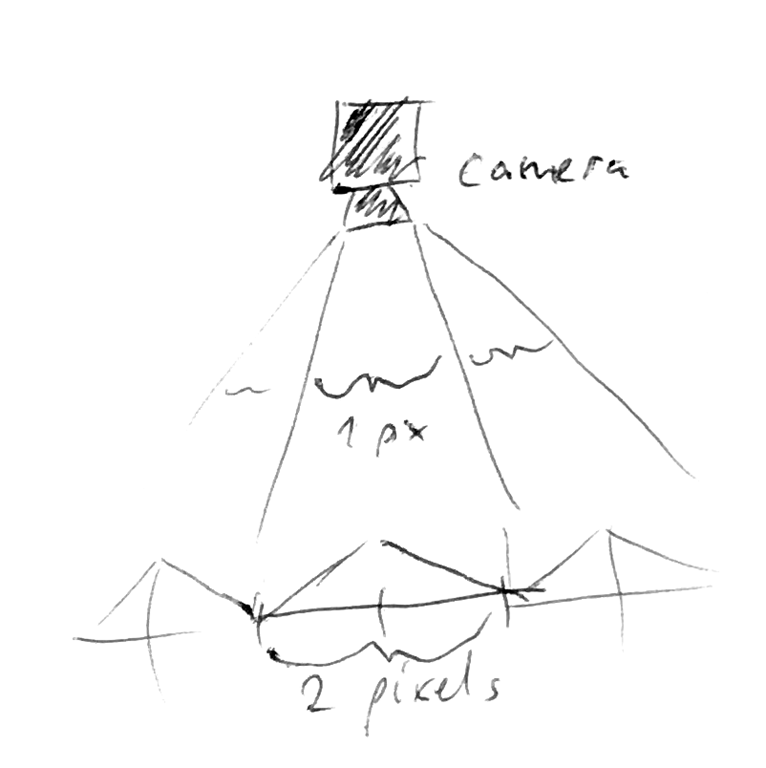 Example: An object is just far away enough that 2 x 2 pixels of it’s surface cover 1×1 pixel on the camera projection. 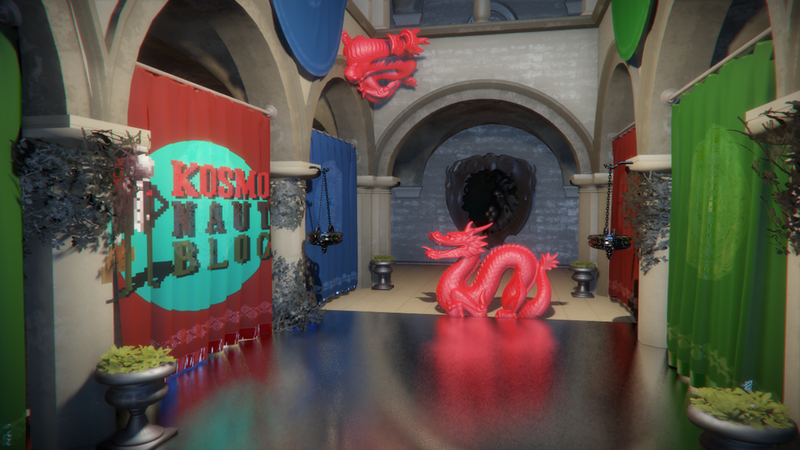 Because it is too expensive to average all the texture information during runtime, we simply store some representations of how the texture looks scaled down and then the graphics card selects the right layer during runtime. This is called mip mapping, and you probably already know about it, but if you don’t there is plenty of information about it on the internet. 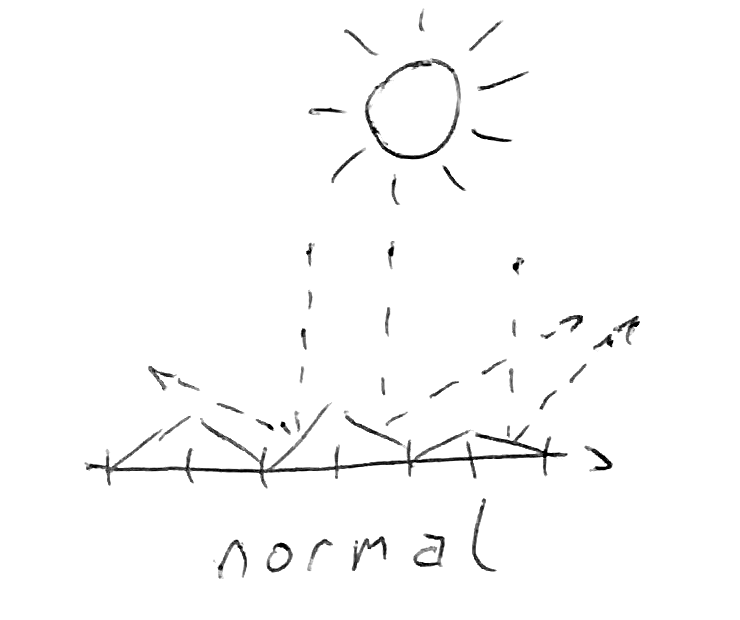 Normal mapping is an interesting example because instead of averaging colors we average out vectors! So in the example above we can already see the problem. Where before we had a very rough surface, after averaging it down we suddenly are left with no more detail representation. It would make sense to integrate this lost information into our roughness map. Our roughness maps stores the “roughness” of a surface, or a cone (more specifically a lobe) in which direction the light can reflect at a micro scale. 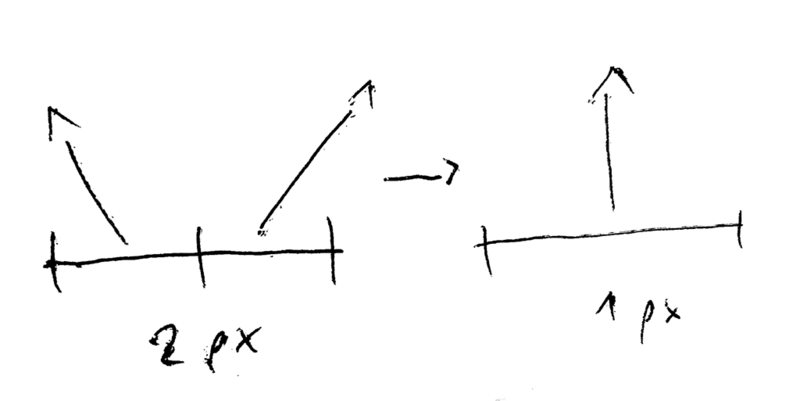 So when our normal information gets lost during downsampling – why not make it part of that microscale? So in the example above we have the following case: A highly reflective material, for example clean metal, has a texture with a lot of small bumps. Now, if we move further and further away eventually the normal map will be at such a low mip map level that we do not see any details any more. However, the reflectivity of our metal didn’t change. 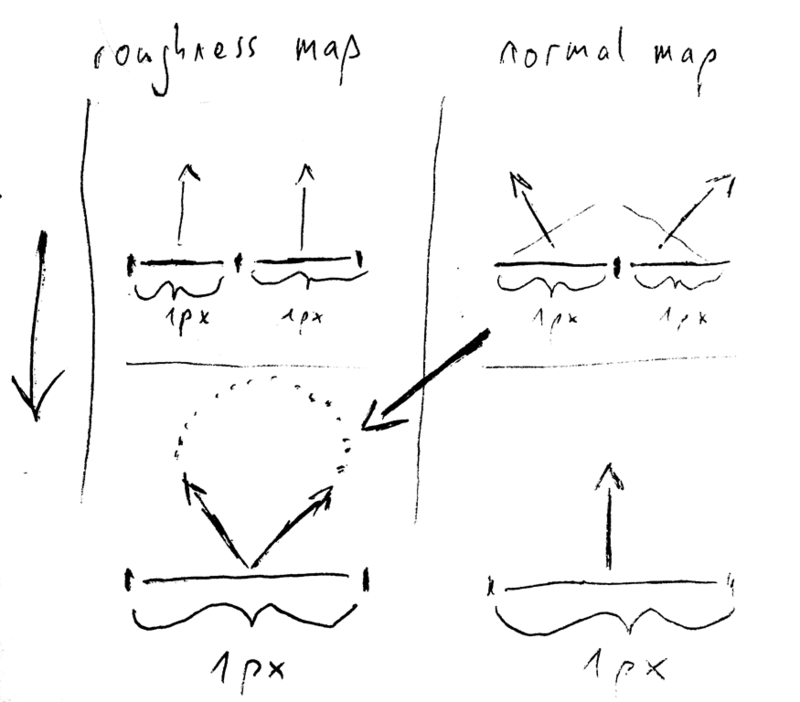 So the detail is lost, but the “roughness map” stays the same, in this case we basically have a mirror once we are far enough away. Since the images in my blog are waaaaaaaay too small to make something like this visible, I opted for manually decreasing LOD distance. Note: This could also happen if LOD levels are reduced because of user settings, so it’s not that far off of some real world cases. We basically have a mirror now. So our resulting roughness would result in an image like this, which is much closer to what we had with the normal map still intact. So that’s it from me for today. A method for accomplishing this is described in Valve’s “Advanced VR Rendering”. 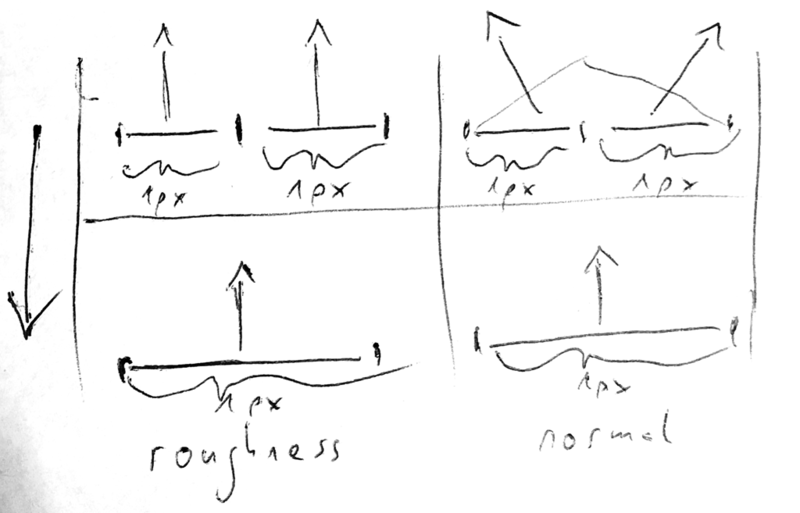 The method stores normal maps as [X, Y, roughnessX, roughnessY], with each mipmap ‘integrating’ the divergence of normals of the detailed version. It works quite well for creating isotropic normals as long as they are specific to 2 dimensions. Crytek used this idea in Ryse. It’s mentioned in their GDC tech talk.